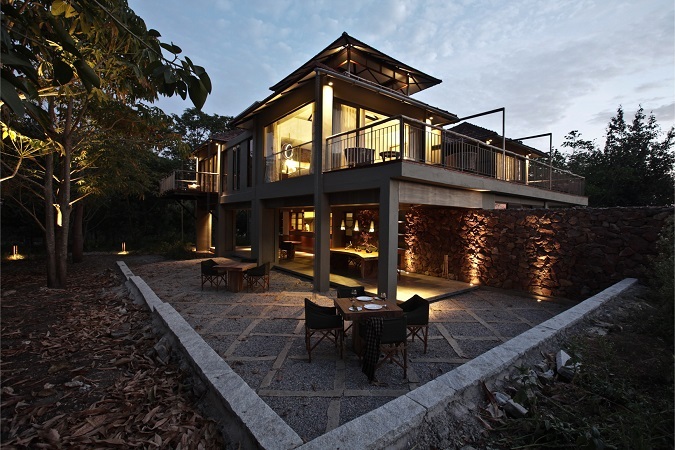 Kaav safari lodge can be reached by a leisurely four hour drive from Bangalore. 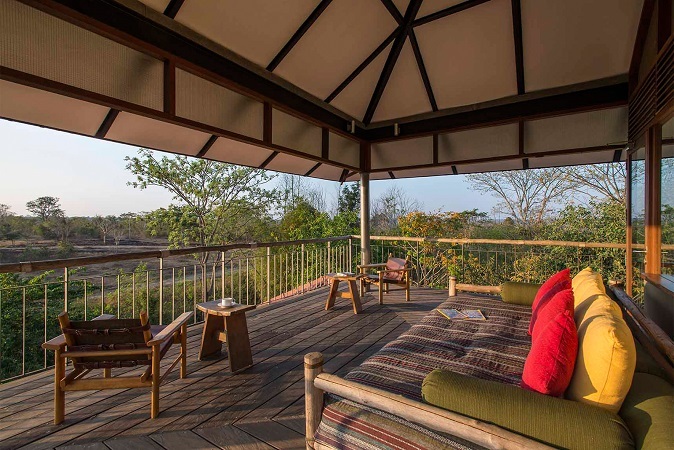 It is a lovely small, boutique property with rooms and tents and a viewing deck that affords views directly into Nagarhole National Park. 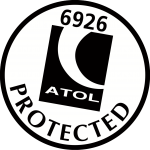 We loved the style, attention to detail and personal service of this property and recommend highly. Opening out onto views of the picturesque horizon, the four well-appointed rooms at Kaav reflect the ethos of untamed luxury. 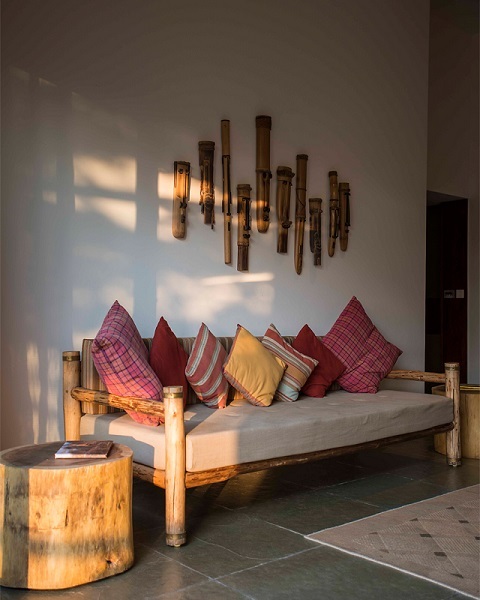 They are thoughtfully designed to ensure your every comfort while mindful of leaving the nature that surrounds you unblemished. 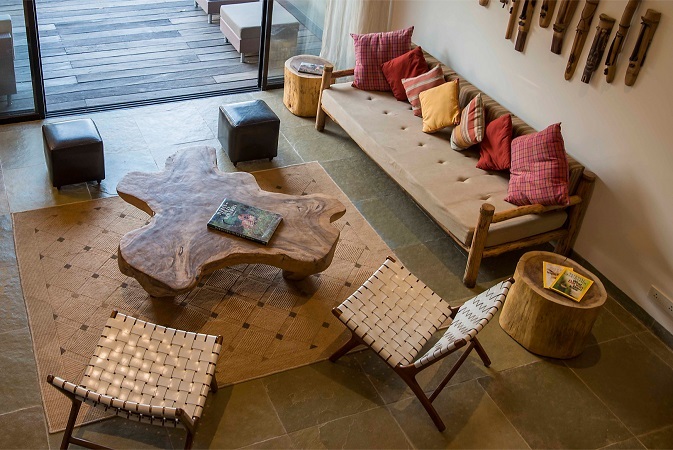 Each room has a private balcony with outdoor furniture to relax and enjoy the views. 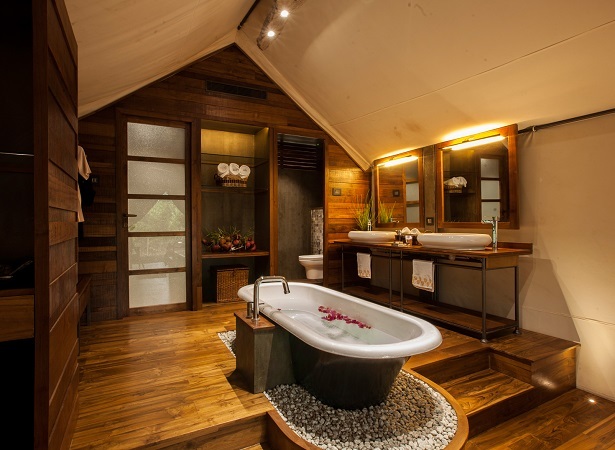 Amplifying the stunning beauty of the jungle close by, the luxury tents are one of it's kind in Kabini. They leave no stone of luxury unturned in offering you glamping at its very best. 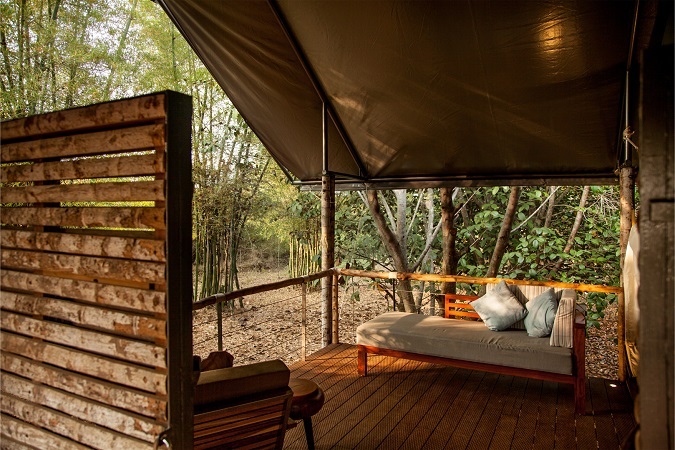 They even come with a private deck and open bath tub for a touch of romance to your jungle getaway. Bright and cosy, the common living room allows you to interact with other guests, make plans for the day ahead or even share tips and experiences. This is where friendships are founded and anecdotes penned. The expansive viewing deck is perfect for birdwatching and the outdoor pool provides the opportunity for a refreshing dip between safaris. With experienced rangers in tow, Kaav jungle safaris take you on a guided tour into the forest’s many nooks and crannies. Atop a vehicle designed to give you the best possible views of the wildlife that emerges around you, a wide range of jungle inhabitants come calling. Look out for large herbivores such as elephant, bison, sambar and bonnet macaques. And this is your chance to see one of the predators too. Think tiger, leopard, panther or wild dog. And of course, there are the over 250 species of bird endemic to the region that nest in the foliage. Both adult and kids bicycles are available for local exploring to witness the everyday lives of the local community. For a quintessential Kabini experience, step on to the small round 'Coracle' boats that expertly navigate the Kabini reservoir backwaters. Guided nature walks along the periphery of the park are also offered.